“Reverse redlining” flooded communities of color with toxic mortgages, practically ensuring default. The Great Recession has technically started to recede, but the banks that sparked it have mostly been allowed to walk. Some even prospered in the aftermath. But a jury just hit back against one predatory lender, restoring a little of the confidence in the system that Wall Street stripped away from Brooklyn during the financial crisis. The lawsuit, filed by Brooklyn Legal Services, with support from Center for Responsible Lending and private attorneys, charged Emigrant Savings Bank under the Fair Housing Act, Equal Credit Opportunity Act, and New York City Human Rights Law for “aggressively marketing toxic mortgages to Black and Latino homeowners,” using a process is known as “reverse redlining”—pushing high-cost, toxic products that inevitably led homeowners into a financial disaster that still scars the city’s increasingly unaffordable working-class neighborhoods. The refinancing loan product they marketed, STAR NINA (No Income, No Assets), was tailored toward homeowners who were cash poor but had considerable equity in their properties. Under the “no income, no assets” feature—basically Wall Street’s version of “see no evil”—the plaintiffs, all black, Latino, or immigrant homeowners—got loans that looked reasonable initially, but were embedded with a stealth interest rate ballooning up to 18 percent. The no-verification scheme used in this case was effectively banned by regulatory safeguards recently enacted in the Dodd-Frank reforms. But similar aggressive profiteering could be used to fleece homeowners again given the weakness of current regulations. Emigrant also knew early on that communities of color would be easy prey. Here “was where it had its greatest success in making its most profitable ‘No Income’ loans.” Emigrant’s “success,” the suit claims, was the fact that “the average STAR borrower had 50 percent equity in their home. That large equity cushion protected Emigrant no matter what happened with the loan.” The practice continued even once the cascade of defaults began rolling in, hitting one in three borrowers, through the end of 2008 when regulators barred the predatory 18 percent interest scheme. Felipe Howell, a middle-aged black Panamanian-American longtime homeowner in Jamaica, Queens, got tethered to a toxic Emigrant loan after being persuaded to build a new rental property on his residence with a contractor tied to Emigrant. Pressured by heavy marketing, the suit states, “Howell was concerned about the timing of the construction and whether he would be able to make mortgage payments, but the broker and contractor repeatedly insisted that it would all work out, that he would have a couple months before he would have to start paying the Emigrant loan.” He went under with $1,800-plus payments while earning no net income. As the market collapsed, the bank twisted the knife by letting families slide into default and letting their usurious debts swell as foreclosure approached. The plaintiffs were awarded a total of $950,000, with individual awards ranging from about $70,000 to $225,000. The verdict provides just partial restitution for the home asset losses. But the jury’s definitive finding shows the consequences of depriving black and brown communities of fair access to credit. 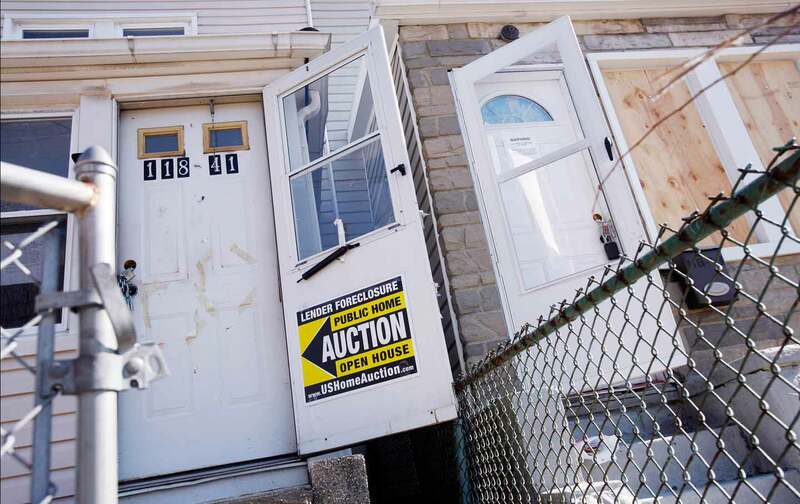 As a civil-rights issue, predatory asset-stripping might be more disastrous than duping people into worthless speculative real estate, because it robs communities of the equity they already possessed. While the lawsuit provides limited recompense for just a few victimized families, at least the verdict helps elucidate the tactics lenders have employed and continue to employ, despite Dodd-Frank’s moderate, but still inadequately enforced reforms. Hopefully, advocates will find a way to build housing justice for local communities before Wall Street—already prowling the foreclosure-strafed streets of Brooklyn—preys again on the spoils of the last crisis.